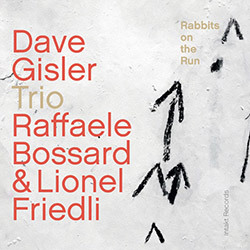 An eclectic guitar trio album from Dave Gisler and his trio of Raffaele Bossard on bass and Lionel Friedli on drums, an impressive display of skill and style from languorous ECM-dreaming lyricism to hard driving and gritty electric hard bop, a collection characterized by its determination in a variety of settings and approaches to improvisation. 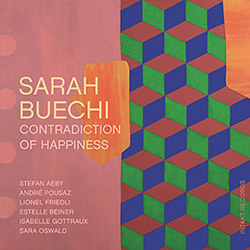 An engaging set of modern jazz songs from Swiss singer Sarah Buechi in a septet of primarily string players + drums, expanding her more typical quartet, each composition imbuing a lyrical sense of drama and expressiveness around sophisticated and cosmopolitan themes, her seductive voice interacting with the band and giving her players space to improvise. Tenor saxophonist Nicolas Masson's quartet mixes influences as far-ranging as Ornette Coleman, Black Sabbath, Wayne Short, Warne Marsh and Olivier Messiaen. 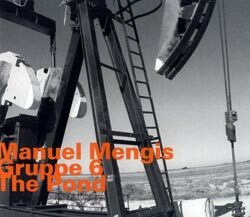 Trumpeter Manuel Mengis 3rd Hat release, 8 original compositions of sophisticated and enjoyable modern jazz from a sextet with dual sax and guitar leads. 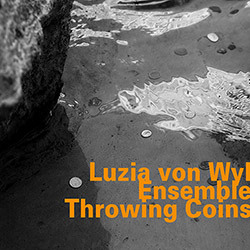 Swiss trumpeter Manuel Mangis and his Gruppe 6 in 4 extended original compositions of post-Bop acumen and rollicking audacity in intrepid improvisation.